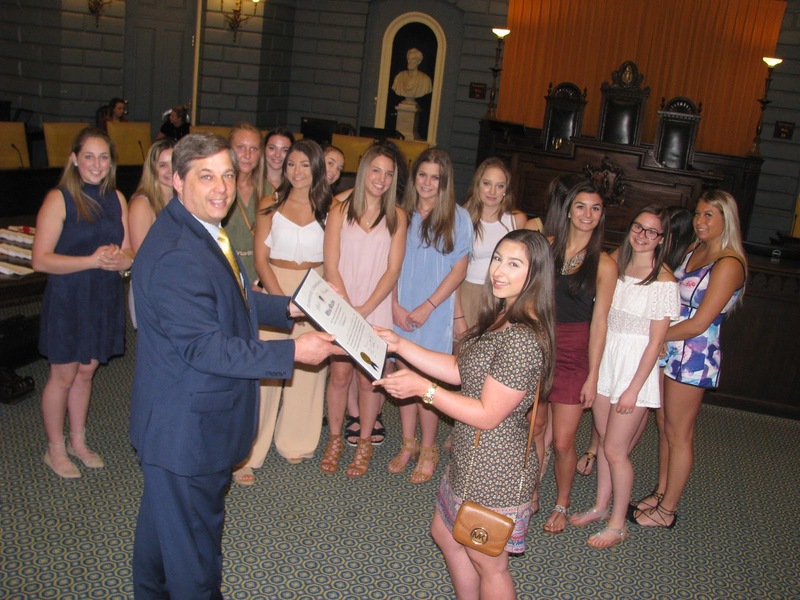 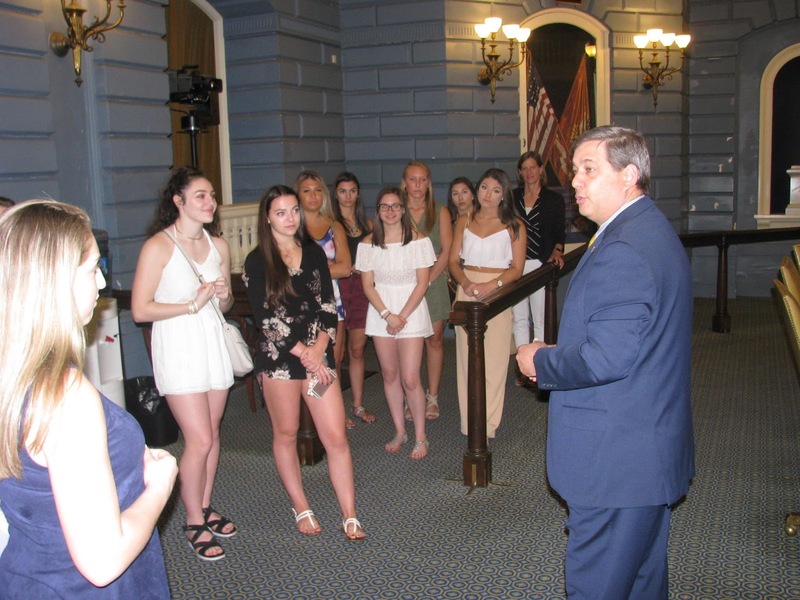 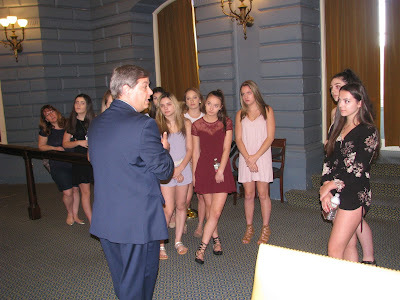 The Gloucester High Cheerleaders visited the State House yesterday and I was delighted to introduce them during a session in the Senate Chamber. 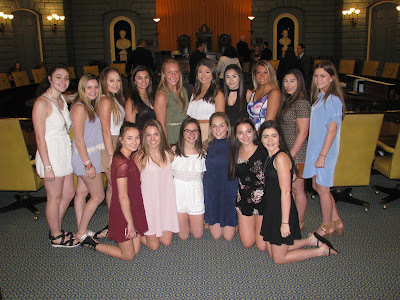 These young women had a tremendously successful season having taken first place at the Cheerleaders of America Ultimate Nationals in Orlando, Florida last month. I explained that their signature move, a three-quarter switch up, where multiple flyers do a three-quarter turn while being lifted into the stunt finishing with a kick, single dismount would exceeded the height of the chamber's chandelier!